February 26: The entrance to the Source was removed from Temple Mount, Jerusalem, to the Copenhagen Synagogue; this is what I have collected despite of resistance of man. 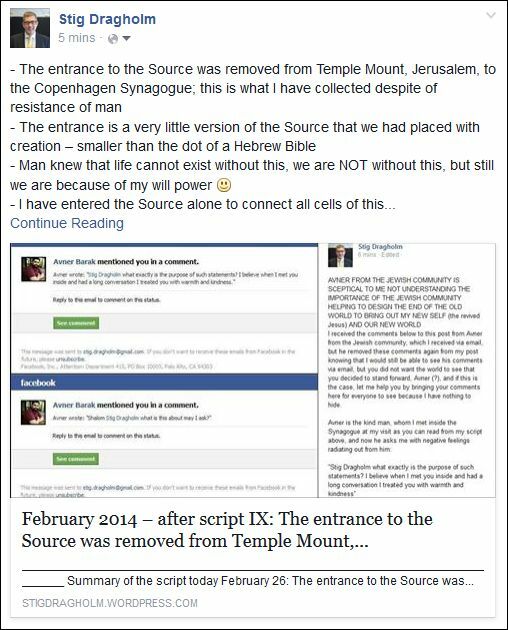 The entrance is a very little version of the Source that we had placed with creation – smaller than the dot of a Hebrew Bible. Man knew that life cannot exist without this, we are NOT without this, but still we are because of my will power :-). I have entered the Source alone to connect all cells of this part of the Source to my engine block to awake you and our New World as ”divine material”. I am now the Creator at the Source building the new castle in the sand and installing our New World invisible to man. The Copenhagen Synagogue was part of the network of churches etc. with the Vatican on top knowing about and planning the game of darkness vs. light. They have followed me during my life and tapped my life energy and used ”terror” as part of the game. They decide on when to release Karen making her and I one, thus opening our New World, which is what they were about to do when I visited them. When I did not say anything, they figured out that the game is not over yet, we will first turn around when I will return as my new self opening to the Source from outside. This is how close the world came to ending the game, but we will continue the game because I haven’t yet received the money that the Commune owes me. They believed that I had come for the ”gold nugget”, I have to turn myself around without the world first leaving the little, black bubble inside the Source. This is what we needed the golden nugget for because without this, I don’t get out, and this is what we have now started doing. This is what the diamond is, which is when Karen and I will touch each other, which is the dust that we have gotten hold of from the Synagogue. We have now been at the Synagogue once and I will return as my new self because the entrance is here, this is how close we came to end the game, but we survived. I am already inside the new giant ship connecting it to the new, eternal cell of the Source, which is our New World containing all new, original life. It is not only me being divine material, all are, whom we just connect to me and my machine of energy bringing life. I will receive energy that doesn’t exist from the Source to open up, I am now inside the Pyramid of everything. I am now the tape recorder putting on tape, i.e. creation, which can only be done here. This is the vertical column including all clothes, i.e. life, or the control room of the cinema. It is now me that the world sees through the keyhole to the Source, it is me as my old self bringing spiritual voices/information to the world. We now build the new castle in the sand as required, we are installing the New World invisible to man, which means that the spaceship of everything (of the Source) has entered, we are extremely close to opening for the energy to our New World, I feel it. I am the leading star and turbine receiving inputs from other cells of the Source to bring out energy for creation that forms it according to their specifications of life. There will come a time when everything gives in and darkness will cease to exist. I will become the only one knowing how it is to live without a heart – without time and any stress. I have entered ”the final bathroom” where creation is made, which happens with the first touch with Karen, this is when the magic occurs. I am not a silver fish yet, we just have to do some small things here before the spaceship of everything will lift and spread light all over. It was dangerous visiting the Copenhagen Synagogue, they did not believe that I had the courage doing it. The world did not want to let me enter the Synagogue and share the entrance to the Source with me, but a misunderstanding of man opened up and gave me access. The guard of the Synagogue had received no orders, and when I looked ”normal and sensible” to him, I was allowed to enter. No one from above had given the Synagogue approval to give me the crown, it should have been ”impossible” for me to enter. I had the key, broke down resistance of the entire system and opened a hole with a giant load of fish (my new self) pouring in. This is the opening that was meant to be critical to the world, life cannot exist without the crown that I collected, we are NOT without this – but still we are because of my will power :-). I have entered here alone to connect all cells of this part of the Source to my engine block to awake you and our New World. I am inside even though the Commune has not paid out the money they owe me and the whole system has not given in to me – we have overruled Hans’ power to get here self. This has put the Synagogue under pressure because you just don’t come there without this having been discussed at the absolute world council, but still this is what we did. This was the purpose of my visit to receive access to the Source, which we had placed there after having transferred it from the Temple Mount in Jerusalem. All of this is pointing directly to the world government, so everyone knows that we are here without being here and we only are because of my will power. Man knows that there is a new beginning coming without saying anything, and in reality we ARE the New World performing to be the Old World until everything is ready. This is the crown that we need inside the Virgin of the Rock in Mijas, Spain, this is what brings life. 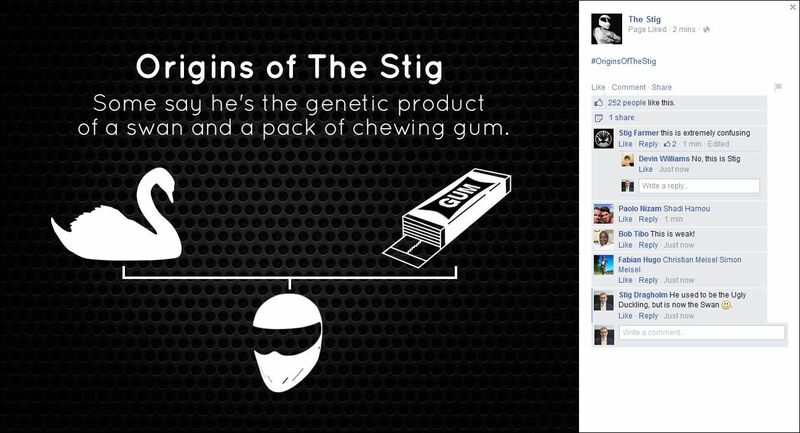 The news ”we are here without being here because of Stig” is spreading fast all over the world creating endless joy of the same people who used to call me ”unreliable”. It is a very little version of the Source that we had placed in Hell (with creation) to create entrance to the Source – a point smaller than a dot in the Hebrew Bible. 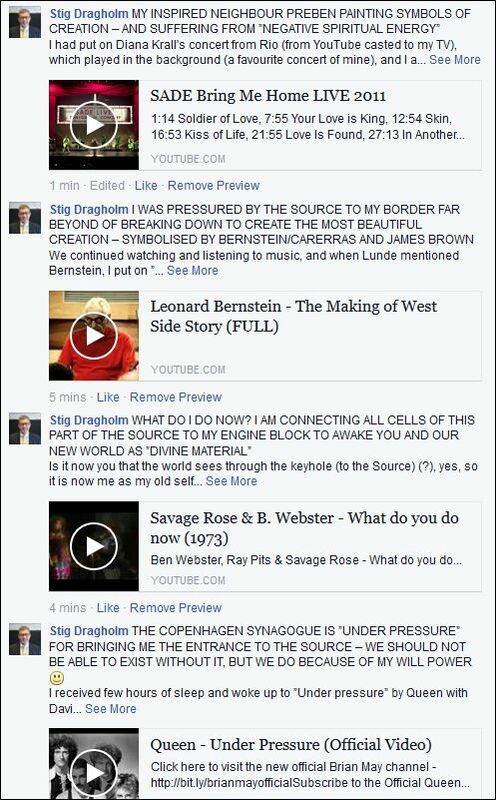 This is why there was ”intensive talk” inside the Synagogue, do you believe that he is coming after this? No, right, because it is not released yet. This is what man protected me from because they were sure that it would lead to the end of the world because I was turned around compared to them. This was the entrance to Karen going through the Synagogue, this is where I am so far without the world. I was glad to receive this update from Meshack, who is still with me patiently waiting on ”the promised land”, while I am sure that he and his family continue suffering, and I do hope that his more than 100 years old ”old man” will make it through to this promised land, Meshack. Please say hi to all :-). So you can see now that Nixon was not on the team saving the world, but did everything he could to destroy it (”the Bomb of Nixon”), and yes, this was the agenda of the world elite, and I am here given the feeling of the Copenhagen Synagogue and can it be that they are part of the network of churches with the Vatican on top, who were among the very few people knowing the secret of what it took to bring me alive by sending darkness to the world and me (? ), and yes, the answer is not no – but still they sold their souls to Putin believing that he controlled them? I was told that Bent Lexner was also following me at Arthur Findlay College when meeting Georgie, and yes, knowing that I would eventually end up coming ”home” to you too? And when removing my pocket money too … Naser Khader was employed from here as part of this ”terror strategy”. This is not the most unusual, which is that he has the decision when to release Karen to you making us one, which will release our New World, and yes, this is why I was inspired to listen to ”We two are one” by Eurythmics from their fantastic album of the same name, which was not nearly as big here as their mid 1980’s albums, but still it may be my favourite Eurythmics album. This is what he was about to do when you visited them, which is what they were speaking of, but when you did not say anything yourself, they figured out that yours/our game isn’t over yet. No, it isn’t easy to sit there doing nothing and knowing about your sufferings. It was a misunderstanding cutting contacts to me – again I feel that people would like to contact me. And this is the ban that your mother is complying with too! Was Rene very close being the first to break this ban and yes because it is ridiculous, people cannot almost remember why it was introduced and now it is only there, and yes, just to say that there is a big pressure on to get it removed, right Hans? Yes, the Synagogue believed that it was now time to turn everything around (at my visit), and I am given the taste of Burgundy wine here. This is how we almost cheated them to make this decision, but no, it will first happen when I return as my new self because I will open the Source from outside as you do remember? 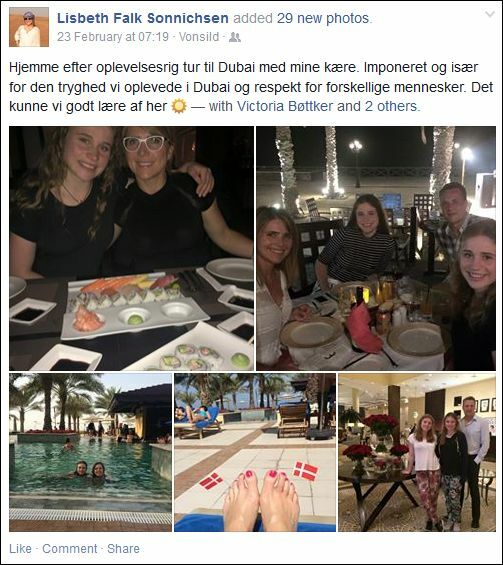 This is how close the world came to ending the game, but – I am here given the vision of the ”marzipan open sandwiches” I remember from Rørbæk Supermarket in Albertslund from when I was a boy, i.e. symbol of ”never giving up” – no, we will continue the game because I haven’t yet received the money that the Commune owes me, right Hans? This is what they believed you had came for, which was the ”gold nugget” self, but no, you just have to do the art of turning yourself around without the world first because, as the only one you will leave the little, black bubble as I am shown inside the Source, and this is what we needed the golden nugget for because without this, you don’t get out, and this is what we have now started doing. This means that we are asking Hans to do this because his is the pipe self that we come out of. Man (politics, media etc.) had put himself so far away from original life that I simply gave you life myself, so we will have to pour you over to my can. I am already inside the new giant ship that doesn’t exist as I only feel here (our New World). It is not here with Peter T. (destruction) or here with the elephant but here and I am shown one new cell of the Source as a kind of bowl made from straw, which works as a funnel in the middle from where an eternal pipe goes out, and this is the true and original life of our New World. It is not only me being divine material, all are, whom we just connect to me and my machine of energy bringing life. Does it mean that you will start shining before everyone else, and yes, we may not be able to not do this. This is what the diamond is, which is when you and Karen will touch each other, which is the dust that we have gotten hold of from the Synagogue. Everything between us (Karen and I) is what we call Hell, which is where life not being true life is artificially kept alive, but not now any longer. We do this because we succeeded turning Tommy around. It was an accident of the world when it tried to move around life to darkness that gave my mother cancer because it was the wish of man to eliminate life, i.e. my mother. I was told about the act of my mother not speaking of me and that she better understand my suffering after John has now been opened spiritually too, but I wonder if this information about my mother not speaking to me about and supporting me as ”the one” may truly be because she has not yet fully discovered the truth of this, and that this is a requirement to keep the game going. We have now been at the Synagogue once and we will return because the entrance is here – together with Hans. This is how they/we survived and this is what their talk was about. This means that my new self from the corridor will not become me yet. It is ultimately myself deciding when the game is over because I can stop working at any time. You will now receive money, i.e. energy, which doesn’t exist from the Source to open you. It means that you have now delivered more energy than required and you are still alive. I am now inside the Pyramid of everything. We still use the old system of darkness/sufferings. I keep on being shown a big drill of man being drilled inside of here. It is now us being the tape recorder putting on tape, i.e. creation, and this can only be done here. So it is here that we are this vertical column including all clothes, i.e. life, as I am here shown (or water/metal). This is where I sit inside the little control room of the cinema. It is still Hans who will decide when to open based on their experience. I had the most terrible sleep with my back hurting me and waking up many times and I still receive dry mouth every time when awakening, and at one time I was told that Bent Lexner never expected to see me in this life, and I was then given the lyrics ”But before you come to any conclusions, Try walking in my shoes” by Depeche Mode. I received the feeling of AN INCREDIBLE AMOUNT OF MONEY among the very few of the elite on the very top. 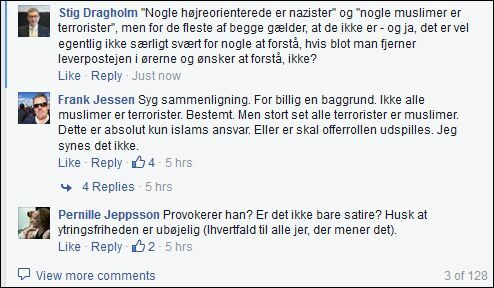 I was told that it was letters from the Copenhagen Synagogue and the Copenhagen University dominating the world debate, and no, the big jar is not to come out now, Copenhagen University! When I expanded my TV package some months ago I also received access to the TLC Denmark channel, and I have been happy seeing that they are sending Masterchef Australia, which I saw some years ago when living in Lyngby, and I now watch it again every time I have time and energy to do it, and it makes me HAPPY seeing because of the nice behaviour and language of all people here as well as the high quality of their work, and to me this is ”the best TV in the world too” within reality tv as BBC is within nature and documentaries, and yes, the same Masterchef series in other countries is simply not ”shining” as the Australian, and the difference is the people and their behaviour, and yes, I LOVE AUSTRALIANS from what I have seen on this TV, and now follow all three judges of the show on Facebook :-). I was told that the reason whey the Danish Prince Henrik – not King, ”only Prince” as he ”complains” about again these days, and yes, a suffering of your life, Henrik, and the small-minded Danes will not try to understand your logics (but are as usual ”negative and better-knowing ignorants”, which is ”simple logics”, so there you have it – and Princess Marie come from France is to help bringing life inside darkness from Spain to here. I worked on the information from the reports from the Royal Library and brought together the legal part of my coming new email to the Commune and the appeal board, and yes, this is ”nailing it”, and yes, it is completely normal for me to work like this, to go very deep when necessary, but it is not to people in general today (”more or less”), and this is why I am doing it, to show you that this is the way to work. At the same time this is the smallest way up the stairs of the lighthouse, and I am here shown Hugo, the TV troll, with his typical smile and attitude on the way up to the top floor where the light is. 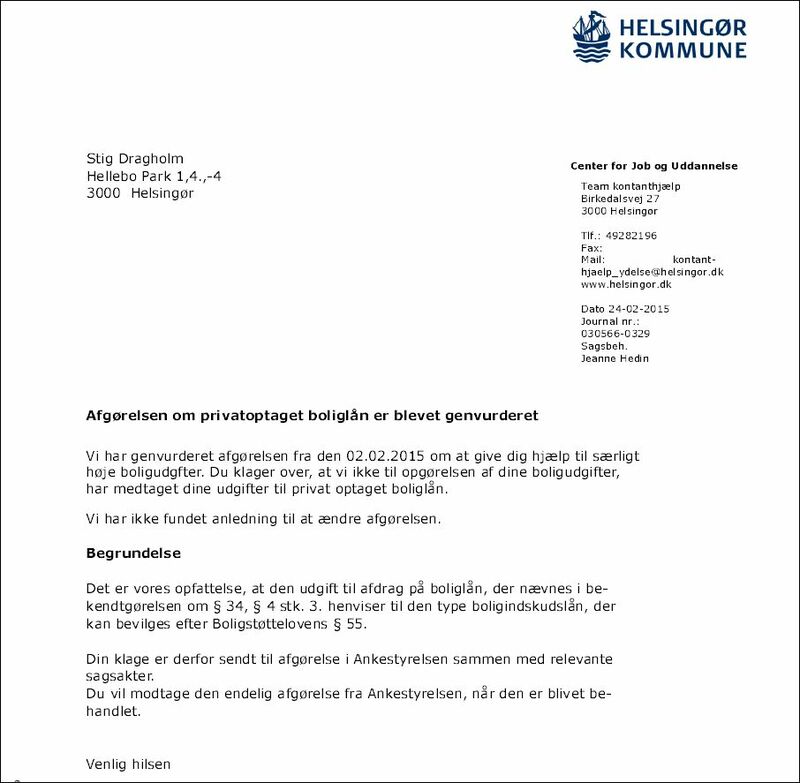 I was told that this is an act from the Commune because they know that I am right but follow the verdict from the system above them, which they also don’t understand, so the work I am doing now is really unnecessary and doesn’t help on motivation, but still I do it because it is right to do and to complete. Unfortunately most people today cannot see the point of working as deeply as I do, but you really have to have basis in order to make sure that all of your work/business is based on a healthy foundation in order to work and yes simply to be sure that you understand and do NOT misunderstand anything including errors, which later will destroy your business, and yes, this is how creation is made, and this is how your work in the future have to be too to be sure that we will have an eternity of joy and happiness together. 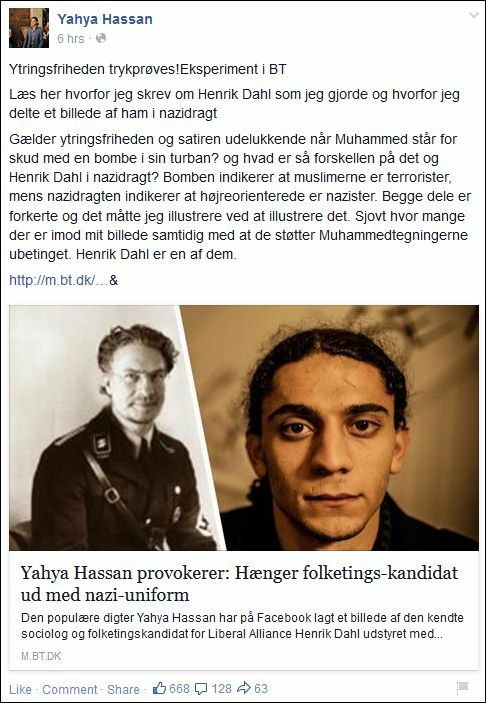 I was shown Mogens Camre from the extreme right winged Danish People’s Party and I felt others too, and was told that they are very scared of being revealed as Nazis – after having seen my Facebook comment below to Yahya’s well designed provocation trying the limits of freedom of speech here showing the sociologist and candidate for Danish Parliament, Henrik Dahl, as a Nazi, and Yahya says about Muhammad with a bomb in his turban ”the bomb indicates that Muslims are terrorists, while the Nazi uniform indicates that right winged politicians are Nazis. Both parts are wrong and I had to illustrate it by illustrating it”, and yes, it made thousands of people lose their negative temper believing that this was ”far too much” and most of these defend the Muhammad drawings, so in this respect, the illustration served its purpose, which is that this is about UNDERSTANDING what it is about and not losing your negative feelings/objective mind, and I said that ”some right winged politicians are Nazis” and ”some Muslims are terrorists”, but for most of both applies that they are not, and yes, this is the simple truth, which should be easy for everyone to understand, and yes, for Muslims not to commit terror and kill in the name of the ”offended prophet”, there is NO SUCH THING (! ), and for right winged politicians not to lose their ”negative emotions” over a stunt like this, and yes, there are more right wing politicians than what people believe who have ”the Nazi gene” inside of them, which would have been developed by the Danish People’s Party in great parts of the population (25% vote on them today – people who hate other cultures/religions than their own!) if we had gone through another scenario where I had not been able to take on my sufferings, which would have required a genocide on Muslims supported by right winged politicians and the ”brainwashed people”, this is what ”Muslim terror” fundamentally is about”, and let me say that I prefer a picture of Muhammad with a bomb in his turban (instead of a Muslim family father as example, who is not a terrorist), which should not offend any Muslims (!) – if they were not brainwashed – instead of a picture of an actual person, who is made looking like a Nazi when he is not (despite of having the ”potential Nazi gene” in him as MANY others – but not knowing about it), and in this respect, you are crossing ”responsible behaviour”, and yes, how difficult can it be to understand the truth of these drawings (? ), and yes, ”completely impossible” it is to primitive and brainwashed people, who ”cannot” control themselves. I was told that ”the Towering Inferno” of Dubai the other day is because my old friend Lisbeth and her family have been on holiday to Dubai, and yes, as usual she is ”blind and deaf” not understanding the world outside the tip of her nose as long as she can continue living her life in luxury and here she even says that she is impressed with Dubai and their ”respect of different people”, and yes, COME ONE, LISBETH!!! Have we just named a ship after you (? ), and yes, when you will send this new email and files to the Commune, which I have worked on for hours today completing the legal part of it, but not the words of my new email to the Commune, which will not be today, but tomorrow when I will complete it, and yes, we know. It means that you become me, the Source, before you become your new human body. I was very tired in the evening, but when it rang on my door and I saw that it was Preben, or ”Lunde” as he prefers being called, I decided to invite him in and follow up on the question I would have liked to go deeper into at his previous visit, which is about his ”obsessive thoughts”, which are given to him so strongly (”in-directly”) that he believes that what is false is indeed right. And yes, he wanted to warn me about ”burglars” this evening, and this is what he has talked about several times before, which is about ”burglars” entering his apartment – they have keys, he says, because he once forgot his keys in the door – and stealing one picture, scratching his surf board and more, and yes, he has even had his clothes stolen in the laundry, and so he says, and yes, I still wonder if he really has a Maserati parked in a garage here, so when he told me about these ”burglars”, I told him that every time we meet, he starts by asking me ”are you gay”, as he also did today, and again I told him ”I tell you that I am NOT every time, and at one stage you should be able to believe in me”, and this is an example of a compulsory thought coming to you as it also was when the landlord gave all people in the high building a letter here 2-3 months ago generally warning about noise of people, which made you convinced that people, maybe even I, had complained about you, and I do believe that this is what you are suffering from and that is ”spiritual negative energy” (as I have explained to him about thoroughly before) making you believe that what is false is right, and yes, it made him VERY NEGATIVE on me when saying ”no, I am not paranoid, Stig, this is the truth” and so much that I feared that he was about to walk out on me, but he did not, and I then told him about ”spiritual negative energy” in other situations, which can be so strong that it makes people compulsory wash their hands for hours, becoming prisoners inside their own apartment not having the courage to walk out etc., and I told him that this negative energy comes to me all of the time, and I simply refuse it from overtaking me, and when I tell him this, it is NOT because I am negative going against him (which is how he sees his family also telling him ”we don’t believe you, you only say this to cheat your insurance” as he told me), but the opposite, I am a friend helping him and this is to remove these compulsory thoughts from his head because I am stronger than this darkness (! ), and yes, he did understand this, and I told him also that ”unless you bring me documentation of these burglaries, I do believe this is the case”, and yes, he almost decided to collect this ”documentation”, but decided not after all, and yes, I also asked him ”where is your Maserati parked” and he said ”in one of the garages down here” and when I told him that I would like to go and see it with him, he said that he first needed to take out insurance on it before he could show it to me (! ), and yes, Lunde is a ”very sick man” without knowing it – because darkness has overtaken him – but he is very kind and yes if only he decided to speak less about himself and ask more questions, you know :-). He told me about this incredible strong energy/voice coming to him with sexual temptations, and again I told him the right way to treat it, which is to say that ”you are welcome, but I do NOT want your temptations of darkness”, but no, this is ”completely impossible” for him to reject, and yes, is it really if only you decide to do it (? ), and yes, this is what it is about, only a decision. I had put on Diana Krall’s concert from Rio (from YouTube casted to my TV), which played in the background (a favourite concert of mine), and I asked Lunde if there was something he would like to hear, and he recommended to play the concert with Emeli Sandé below, whom I did not know in forehand, and I told him when getting to know here that she is a true star, and after 6-7 songs with Emilie, it made me decide to play him ”Pearls” by Sade from her ”Bring me Home” tour, which he liked much, and yes, this is about our new sun rising and I told him that ”this is not just any song, listen to its message” and when Sade sung out ”Halleluja”, I told Lunde that ”this is truly VERY STRONG” (also influencing him in relation to me) and yes to me, this is your best ever moment, Sade :-). After this, he recommended me to play Jean Michel Jarre, and it made me think of his concerts in China, and when I put on the concert below, I thought that this is not only from Tiananmen Square (Square of Heavenly Peace), but from inside the Imperial Palace of the Forbidden City (? ), and in this respect, it is symbol of coming home to the core of the Source, and yes, it was also ”impossible” for Jean Michel Jarre to perform there (?) as it was ”impossible” for me to return home. And it made Lunde were happy not only because of the music (the most unique in the world within this music genre) but because of the pillars, cones and circles used as a beautiful set design of the concert, and this is because Lunde uses the same symbols (Cubism) in his paintings, and he decided to go and get a couple of his paintings to show me, and yes, they were filled of all of these figures also including pyramids, so he is truly a very inspired man without knowing it, and he explained about the first painting that it was inspired from Fiji, where he spent 3-4 months once, and he told me about the bark of the Mulberry tree, which women uses as white clothes and put on figures on of the kind he used in this painting, and I told him that I liked his paintings much and can see his personal ”stringent self” in the ”stringent structure” of the paintings, and then I said with the words of my voice ”when you will become famous one day, I can tell people that you are my neighbour”, and I was told that this is because this is how he is thinking of me and my philosophy, which is that I may become famous because of this, and yes, he knows that I am not part of any political party or religious group, but have my own philosophy as I told him again this evening. We continued watching and listening to music, and when Lunde mentioned Bernstein, I put on ”The making of West Side Story”, which is one of the most brilliant documentaries of all that I know of, if not the most of all, and I found the point where Bernstein, as the true master that he was, continued correcting José Carreras when he practiced the beautiful ”Maria”, and I told Lunde that ”it is incredible to watch Bernstein pressuring Carreras to the outmost point where he is very close to breaking down, and that he is doing this to ”the best singer in the world”, and when I said this, I was told myself that this is what my new self did to me as Stig to bring out ”the most beautiful result” of our new creation the same way that Carreras here sings the most beautiful peace of music of a tenor that I have ever heard, and yes, ”Maria” makes me think of my mother, or our New World, you know :-). And the inspiration continued when Lunde recommended me to put on ”some of the early James Brown”, which I then did with the video ”1960’s videos” (I was given ”papa’s got a brand new bag” with ”bag” being our New World), where ”the King of Soul” performs ”one more beautiful song after the other”, and we spoke about how James Brown is making ”impossible music”, which should not be possible to do, which I remember from a documentary I saw once telling about the ”wrong rhythm” of James Browns music, but then again, James Brown did not care and just decided to bring out what he heard inside of him, and yes, this is truly also ”the best music and music performer in the world”, just watch it (! ), and again, this is about making ”impossible music” symbolising ”impossible creation” and again, James Brown was known to ”pressure his band to insanity” demanding the ultimate performance from them as the Source did to me to bring out creation, so there you have it again, creation of our New World and the return of the King. Finally, Lunde told me about how his knees were hurting much and later about James Brown who used to lay on his knees in concerts, and this was directly about the omitted lyrics ”Get down upon your knees” from ”the Missionary Man” by Eurythmics that I brought the other day – from ”stop what you’re doing, Get down upon your knees, I’ve got a message for you that you better believe” – and I omitted these lyrics because I do NOT want man to kneel in front of me as my new self, and here I was told that ”the world is laying for your feet” because of the world support that I have. I had received increasingly more pain to my back during the day, the the lower left part of it – but I feel all of my spinal column being weak and ”tired” – and when I went to bed being completely exhausted I could not sleep at all because of my hurting back, which lasted all night and most of the next day, and this is because of darkness of the Synagogue with its Jewish Community draining me (they saw my previous script as friends with Jair Melchiour, whom I had tagged to make them see it), and this made the night and day extremely painful to come through, and I could not work at all as result all day long. I have also received a couple of small heart attacks, which otherwise was over, and sneezes/hiccups. Even though I am only one life, all cells of the Source come to me, which is why I don’t feel alone. I was told that the meaning was for me not to sleep after the Synagogue but to write and send my email to the Commune – based on my learnings from the Royal Library – as a symbol of going right back to the very origin of all, but no, I simply cannot work today finishing my email, I have to sleep first, and I was told then that this will bring out even more sufferings of the world as it was meant to bring to help me back. Yes, my former employers were given orders not to make me an outgoing salesman or manager, which would have ”helped me too much” later in life, so they made me do the dullest work as ”technician”, but this was truly what I needed in order to build up experience and endurance to do the work of my mission, so they really helped me the best! Is it now you that the world sees through the keyhole (to the Source) (? ), yes, so it is now me as my old self bringing spiritual voices/information to all of the world, and how many of you receiving these recognise me? This was the keyhole that was impossible to find, and ”what do you do now” (? ), and yes, we will build the new castle in the sand as required :-). By the way, my mother told me about ”Fru Larsen” living on ground floor on Istedgade, where my mother lived with her adoptive mother, and yes, now I understand why I told my mother about ”Fru Larsen” as I did trying to make her believe me now many years ago, around 2006, but she ”could not” believe me because I was told that ”Fru Larsen” was a store, which is then what I told her, but it was not a store as such, it was a referral to ”Fru Larsen” on ground floor, so my mother still may have ”understood”. I was thinking about what my father was alive when the Swedish King used to contain the Source before darkness sent it to John and before coming to me, and I was told that he took it with him outside to create contact to me – but still he also left behind the Source here for me to connect with via Kirsten and his sister Inge. Isn’t it incredible that we are installing the New World invisible (? ), this is what we are doing now. This means that the spaceship of everything (of the Source) has entered, and I am shown it all over the sky. We are extremely close to opening for the energy to our New World, I feel it. I received a new and final ”completely insane” verdict from the Commune as you can read here saying that they have re-evaluated my appeal to include installments to my private home deposit loan in the calculation of special home aid, but they still reject doing this because they ”believe” that it is only communal and not private loans that can be included, and yes, it hurts me much to see how lazy and better-knowing people can do WRONG, and no, I am in no doubt, I have gone through everything. Is it so that the Minister on top, the lazy/superficial Manu Sareen, is just waiting on me coming all the way up until he decides to release the money to me via the Appeal Board (as he is in charge of). So it looks as if they are working against you, but they are helping you all the way up. Are these the sad remaining of mother/old creation after you have travelled so far? I am now going to show you stainless steel as you have never seen before. My back continues hurting and annoying me, but now somewhat less giving me periods of sleep during the night, where I among others dreamt about working as an assistant for Helle Thorning-Schmidt with dull/detailed work without having contact with anyone from the Parliament even though I am elected myself, and I see Helle Thorning-Schmidt showing a presentation for EU politicians about their own pension scheme, which interest them very much, and even though I have made detailed presentations for Helle to show, she is showing them ”general graphs” not really saying anything, and yes, this is how it is when I am still hidden to the world and the world keeps on talking about and focusing on the Old World Order. I was happy seeing the launch of a new film streaming service called ”Danish Film Treasure” – https://www.facebook.com/danskfilmskat.dk?fref=ts – which includes Danish film classics and ”all of the TRUE Danish film stars” as I have told you about before, and yes, ”inspired” they were to bring this to the world :-). 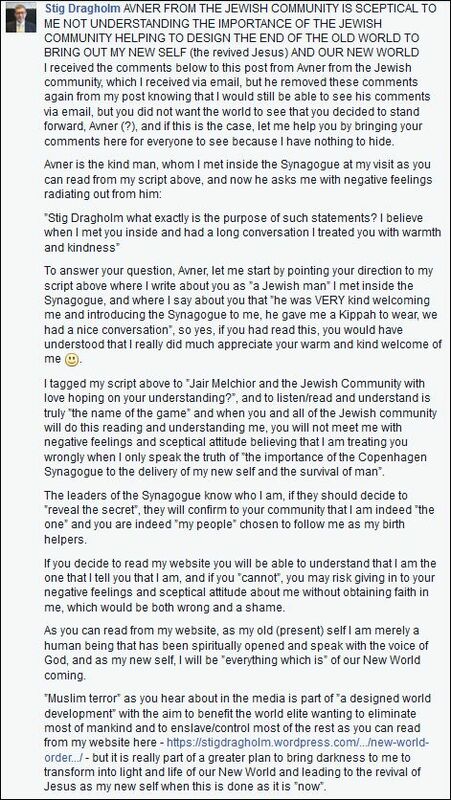 I received the following sceptical feedback from Avner to my previous script, and yes, the man who had welcomed me with warmth and kindness in the Synagogue, and I was told that he was asked to do this by the Rabbies ”as part of the game”, and no matter what, I decided to overcome strong tiredness again today to bring my reply to him and the Jewish Community as follows, and yes, to help you understand bringing you over on my side. I also invited him to be open, positive and accept me as Facebook friend instead of the opposite, but now one day after, he has still ”been unable” doing this, and why is this Avner (? ), and no, Bent Lexner has also not approved me as Facebook friend. After this, I had no more energy thus being unable to finish my email to the Commune, which I can only hope that I will be able to do tomorrow, and yes, my reply to Avner was more important than finishing the email to the Commune, that is why. I was happy seeing the 6-7 special lights of the Source on the Swedish coast switching on a long time before all other light, and I noticed that the old light of negative energy of Hittarp returned and shone approx. one hour, and yes, I also saw it yesterday. I received a message from the Tax authorities saying that they had simply not received a task to key in the agreed monthly installment from January 1, and they will now start on April 1. I received the name of Lee Ritenoir and was told that it is now about being time again. 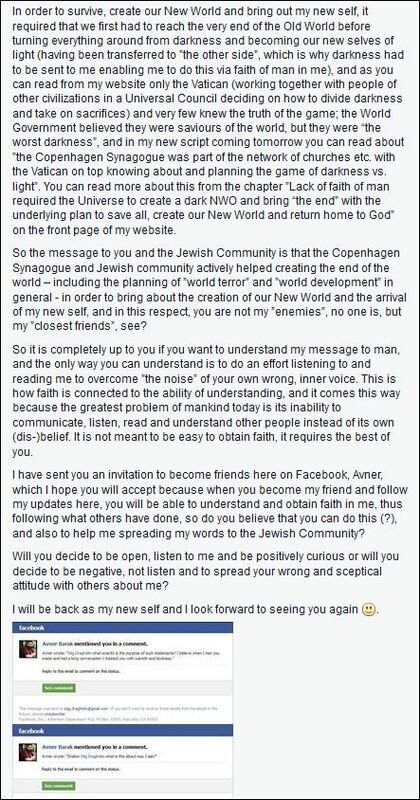 I was again told that it was dangerous visiting the Copenhagen Synagogue the other day, and that their management didn’t believe that I had the courage doing it. There will come a time when everything gives in and darkness will cease to exist – when you have sent your new email to the Commune and the Appeal Board. You will become the only one knowing how it is to live without a heart – without time and any stress. I am the leading star of all (with others pointing at me). I was shown how inputs from other cells of the Source to the water column brings energy and how water pours out of the column and how every creation forms it according to their specifications of life. I was told about just how much U2 loves me and also that man loves me symbolised by U2, and yes, what song by U2 do I play here then (? ); and first I feel them from the beginning of their career, but no, this has to be from my favourite album of theirs and this is ”Actung Baby” and then ”Even better than the real thing” comes to me, which is about my new self with our New World, and here it is in a dance version where we are ”taken higher” :-). And yes, this is also why I was encouraged to play to the new U2 album again, which I have only heard a couple of times, so this is what I do when writing these lines. 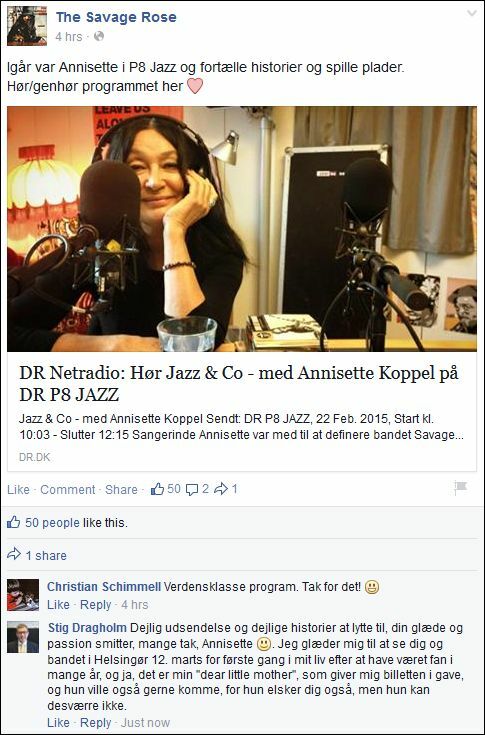 It corresponds to you having become Denmark (the Source) not crossing the boarder to Germany (our New World). Was it almost crashing already when you looked at the Jewish Museum in Copenhagen the other day (? ), I have been told this before without writing it, and is this because I was already there recognised and eehhhh ”don’t let him in”, was this the parole (? ), we don’t want to share with him yet, but no, they didn’t know which day I would come, and yes, did the guard at the Synagogue see me as ”normal and sensible” (? ), and yes, he had not been told about any limits, which is why I was let in causing a stir as result. 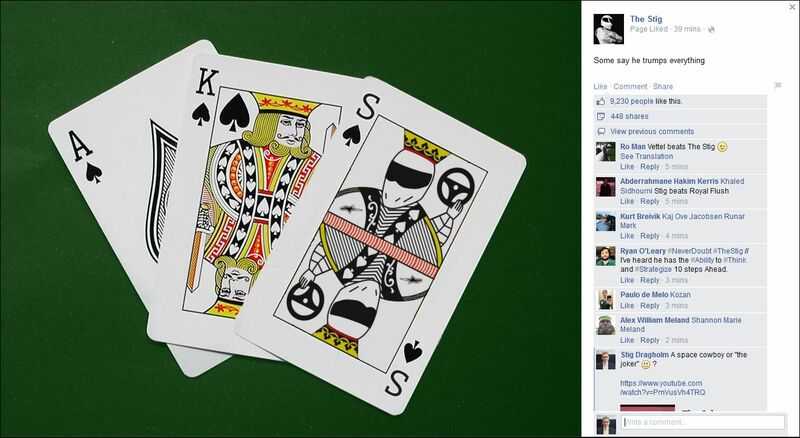 And this is because no one had given them approval from above to give you the crown, which is why there was given no message ”let Stig in”, and eeehhh was it otherwise ”impossible” to enter this Friday when you are not Jew and cleared from a security perspective only few days after the terror attack? I am here given another out of this world pain to my right ankle and told that this is the misunderstanding of man that gives me access to the Source. This is the final bathroom, as I have been shown for days, where creation is made. It happens with the first touch with Karen (”the other side”) inside here, this is when the magic occurs. And then we have made the lifeline as I am here shown going from a boat (creation) in harbour and is full of wine grapes and goes into the water to me as the fish there leading the boat. Did you succeed breaking down resistance of the system against you, I feel Avner here as part of the game, and I am shown a hole with a giant load of fish pouring in. This is the opening that was meant to be critical to the world, and now man don’t even see what is happening. Jack, i.e. armed forces, also had not approved you to enter there, no one had because ”we haven’t finished yet”. I received the lyrics ”Hubba hubba zoot zoot” and was showed the mouth of a figure on an Indian totem pole opening and there is completely black inside there, which is where I have entered alone to prepare for the world without it, and I am here given a deja vue for the first time that I ”simply know” deep inside of me that the Old World had to end before creating our New World – I remember this given to me as a boy and causing a stir too – but now we do it without ending the Old World. Man was hoping that when our two lamps (of Karen and I) would be brought together, it would create energy for their New World, but it does not work this simple, we have to bring the recipe of life that has to work, which is what man failed to bring/do right. This means that we will serve the cake completely finished, which is how we wanted to do it. So we sit constantly inside of here, and I am shown myself as a big turbine sending out chocolate spirit bottles to life as a symbol of what creation has decided to look like, and this will become your task too as one part of you (the Source) and the other part is to become all life as my mother receiving this energy. No one (other cells of the Source) knows how I have built tis turbine, which you have to be me to see. This is what the other cells did not want to recreate, and instead I continue improving it all of the time. So I created the New World as Stig, my old self, via the part of my mother working in me, and yes, I will cease to exist. I was told ”Tiscali”, which is a previous telephone company I owed money to years ago as one of several, and I was told that there has also been focus on my poor economy as my old self, I felt Sanna here, which was also almost destroying all because man believed that it would be impossible for me as Stig with this background to be the one. I have felt Fuggi for some time, and yes, was he also sent to you by your sister to report on you when you saw each other some times in 2009-10 (? ), and yes, Fuggi, does this bring you poor conscience too (? ), and if it makes me sad (? ), of course it does – did I have any true friends not being disloyal to me at all (? ), and I am given the feeling of Kenya, so this is where we have to go to find any of these. And then it is about connecting all of these cells of the Source to the engine block and then they awake to new life. It was all of this that we had brought down into the hole of negative energy impossible to reach, which otherwise required the energy of the world when exploding when I would have given in to my ”old nightmare” because no one would be able to handle the pressure I was given. My neighbour Lunde was the fuel igniting this via his faith in me. My back became worse again during the day, which must be because of negative feelings of Avner and the Jewish community to me, and again, I had difficulties sleeping despite of being exhausted. Does it mean that Hans was surprised in an unguarded moment? No, Hans didn’t know that they did as they did. And you entered because you had the key to the necklace opening to the Rolls Royce. So I am already in even though the Commune has not paid out my money and the whole system has not given in to me but are still playing the game, which is what we use to prepare the last from inside here. So we have overruled Hans’ power to get here self. Helle Thorning-Schmidt participated getting it out of there because she did not co-operate with the system but with me, so we used her power too when she visited the Synagogue a few days after me at the memorial service. It is this ”sexual” contact between Karen and I that creates our New World. This was the role that they hoped they could get Helena or someone else to carry out, by tapping me. I received few hours of sleep and woke up to ”Under pressure” by Queen with David Bowie, and I was told that this is what I put the Synagogue under because you just don’t come there without this having been discussed at the absolute world council, but still this is what we did. It would have been easier for you to go through High School (instead of Commercial School as I did), and this was impossible (because of the resistance of Hans and the system to protect their ”secret network” against me). You are watching a Synagogue in serious trouble because life cannot exist without the crown that you collected. We will now say it very loudly, we are NOT without the plate that was pushed in there, which is what you brought with you, yes, this was the purpose of your visit to receive access to the Source, which we had placed there after having received it from the Temple Mount in Jerusalem, isn’t it funny? Is there a new beginning on its way (? ), yes, this is what man knows without saying anything, and this is just what you confirmed to them via Avner as part of the game. All of this is pointing directly to Christiansborg (the Danish Parliament as I am here shown the stairs leading up to) and the world government, so everyone knows that we are here without being here and we only are because of my will power and in reality we have no liquorice left (we ARE the New World just performing to be the Old World until everything is ready). This is the crown that we need inside the Virgin of the Rock in Mijas, Spain, this is what brings life, which man knows about. I was told ”the national hero/bard”, which was about me but also here about Kim Larsen, who is the national bard of Denmark, which is because you just don’t enter there and get this out, and yes, I have been shown the name of the band GASOLIN, Kim Larsen’s old band, almost in neon for days and ”you have something on the way” (? ), and yes, my favourite album by Gasolin is ”Efter endnu en dag” (”After yet another day”), and here is one of the lesser played songs from this album, which is ”Aunt’s album” and to me, this photo album contains all new life of our New World. I was shown Peter Lyngdorf, the founder of Hifi-klubben, and was told that this news is spreading fast all over the world, which is that we are here witout being here because of Stig. And these are the same people who used to call me ”unreliable”. This is all that ”American Pie” is about, and I was given the lyrics ”You both kicked off your shoes” and was told that this is about saying goodbye to the Devil. So it is a very little version of the Piano (the Source) that we had placed in Hell (with creation) to create entrance to the Source. It is like the inside of an ambulance with an empty seat reserved for me, which has now been used. 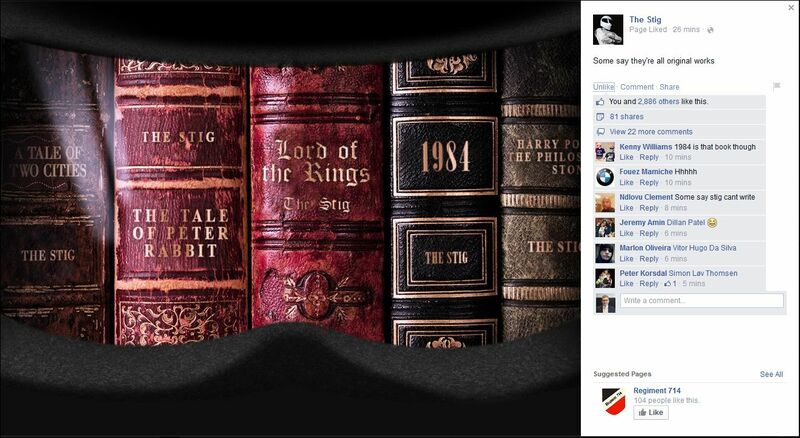 No, Stig doesn’t have access there, but yes, I still had. 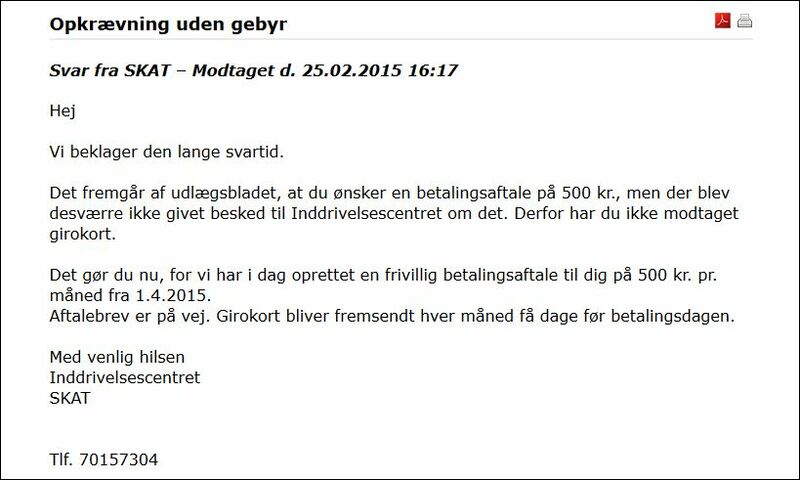 Even ”Ugeskrift for Læger” (”Weekly script for doctors”) wrote about you, which has now been called back (”Stig is crazy”). You are not a silver fish yet, we just have to do some small things here before the spaceship of everything will lift and spread light all over as I am here shown. 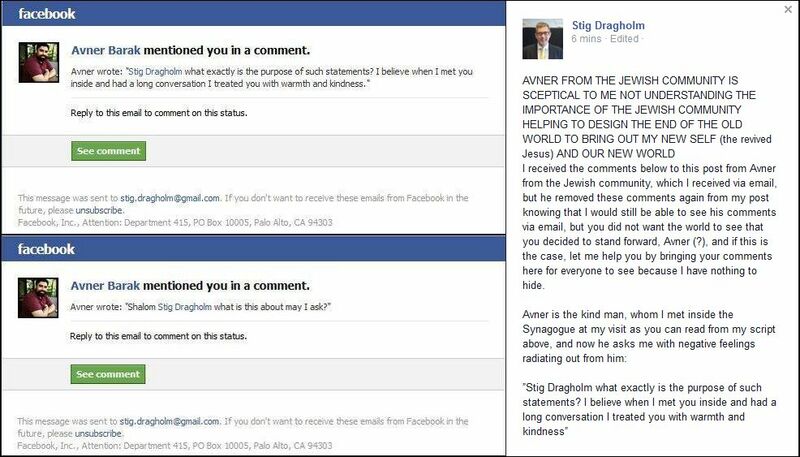 This is why there was much talk inside the Synagogue, do you believe that he is coming after this? No, right, because it is not released yet, and yes, ”intensive talk”. This is what Lars G. and ”they” protected me from because they were sure that it would lead to the end of the world because I was turned around compared to them, but I cannot hide it from you, there is now endless joy of man and it turns around the last sceptical people in you because we are still here and have not died. This was the entrance to Karen going through the Synagogue. This is where you are so far without the world. This is what Kenya believed that you were going to get from them, and I here feel the rural village and am told that Meshack’s father, ”the old man”, was part of this entrance, which is why I went there to collect it. It is when you move in here that we create the New World on basis of the codes/specifications you bring. We have to zoom into a point smaller than a dot in the Hebrew Bible. It is this part that Manu Sareen believes that he is going to release to me (when releasing the amount that the Commune owes me), but I already have it, so don’t you believe that you have to pull yourself together bringing the verdict of the Appeal Board in my favour and a BIG APOLOGY from the Commune? This was the direct way to the document. I received a strong pressure to work from 04.30 in the night writing down these notes and publishing my new script, which however would take some hours doing, and I decided that I cannot, I need more sleep, so I received a few more hours of sleep before I did this. And yes, I am also happy watching ”Gold Rush” on Discovery and seeing how the young Parker have started finding LOTS OF GOLD, and how the much better skilled Greg is now a ”decisive partner” with Hoffman, who used to take ”catastrophic decisions” based on feelings, laziness and poor judgement, and now they have also started finding MUCH GOLD, and gold is what it is about, this is what brings you all life, and yes LOVE OVER GOLD, you know :-). The last days, I have received this fine song ”dancing on volcanoes” with Sebastian, which simply is given to me ”in the background”, and I used to be given eruption of volcanoes as symbol of the end of the world, but now it is ”long live life” as Lis Sørensen sings in this song :-). I received the feeling of ”The Stig” of Top Gear and how they are bringing updates with a reference to me to say ”we know you are here and we support you”, and ten minutes later I saw this update, and I do believe that the story of all of these works of the Stig is inspired from my story visiting the Royal Library as “the library of life”, I believe. A few more inspired updates from “the Stig” about me as the Swan and “the joker” (reference to Ivan L. as “the joker” the other day), and yes, it is first recently that “the Stig” has started bringing let us say “deliberate” and not only “inspired” messages with a reference to me, and I am here given the feeling and also deja vue about the world knowing about my sufferings, and yes, writing this script is again “completely impossible” to do feeling let us say it as it is, which is “below low”, and I here feel one of the Masterchef judges. 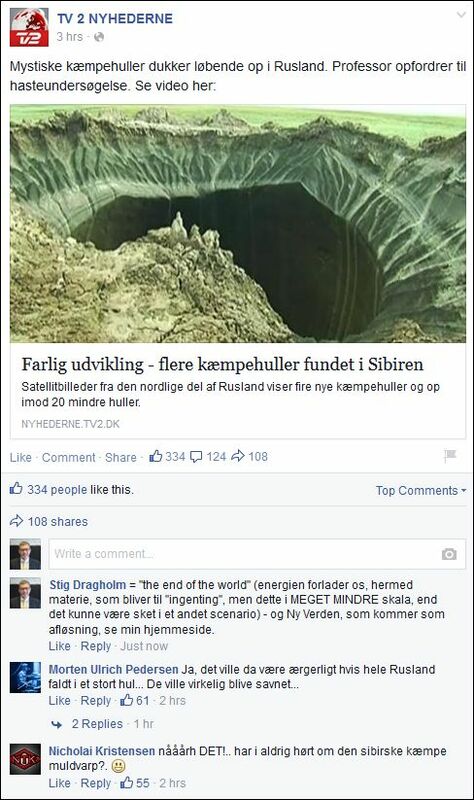 I gave my comment on these giant sink holes saying that it is about the end of the world with lack of energy removing physical material, which could have been MUCH WORSE in another scenario where I had “lost it” – to be replaced by our New World.